A Plot like No Other? For today's post, we're going to explore those Top 20 lists a bit, see whether they are must haves, and how they can add to the learning in your classroom. Have you wondered where you find Top 20 Lists and who makes them? Does that make a difference? You betcha! After all, if the reader is a child, it might be wise to get a child's point of view I'd think. If you think about Trip Advisor or other sites that do rankings, they typically have some criteria for their decisions and expertise in the field. Some top 20 lists may be done by sales while others may be judged by librarians or site managers. Regardless of how the lists are formed, they do highlight new titles for us. 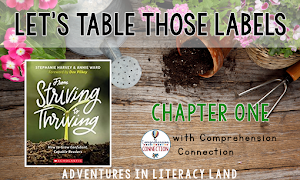 They are great ways to learn about what's new in children's literature and if you purchase them, it gives you a chance to do a little "market research" for yourself to see if they really measure up. Not willing to let loose of the cash? Maybe pull them from the library first to see for yourself. Before I move on with this post, I feel like I should share that the idea for this post came when I visited Amazon this last weekend. 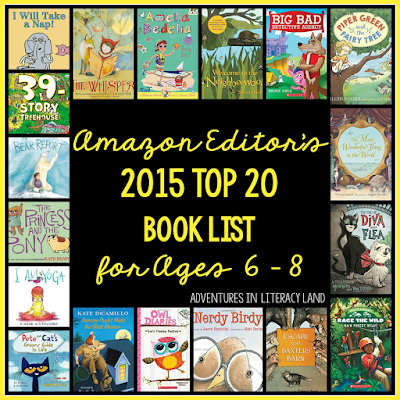 I discovered the Top 20 lists in the children's book section on the site. Well, I am a book hound, so I had to check the lists out. You know there might be a title that I DON'T have (gasp! ), so I went to take a peak, and here's what I found. This is the book list for ages 6-8. At first, I thought it was a list from the New York Times, but then I found it was the Amazon Editor's list. It does not say what the selection criteria was, so I'm not sure if it's based on sales, choices the editors liked, or if there was an evaluation process. Even though I'm not sure how the books were selected, I did notice common themes..animals, adventure, and make-believe. I also noticed a few favorite authors and book series including Pete the Cat, Amelia Bedelia,and Francine Poulet. Mo Willems also made the list, but there are also lots of unique looking books too. I am very curious about Nerdy Birdy, The Whisperer, and Escape from Baxter's Barn. Out of this 20 book list, only five or six were familiar to me, and I love that because now I have new options to look for in the coming months. So, how can the enthusiasm we get when we see or hear about new titles translate into classroom enthusiasm? Ultimately, that is the reason for the book lists. 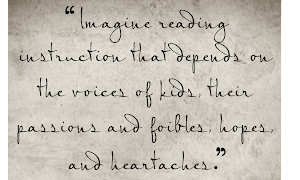 The goal is to build excitement about the books and more importantly, getting the books into the hands of kids. Looking through Amazon's Top 20 list got my teaching wheels going. I had flashbacks to Lettermen's Top 10 Lists. Remember those?? We found them interesting and funny. 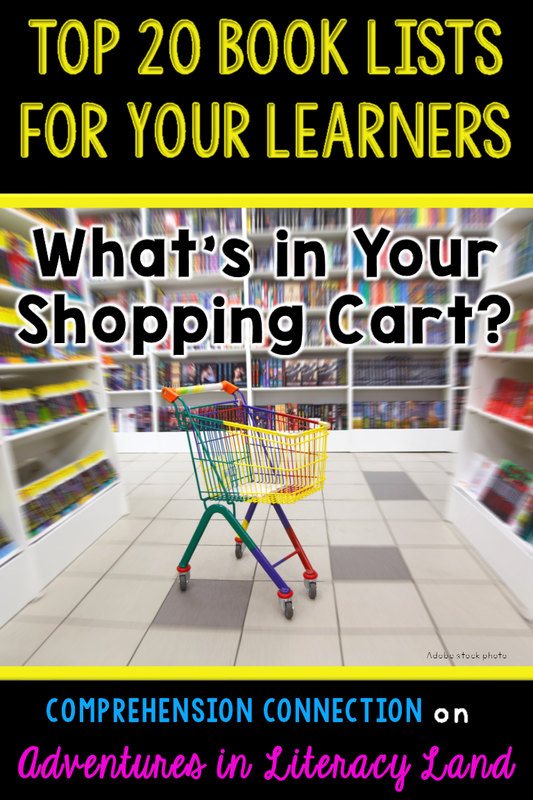 I hope as you scan through these ideas, your teaching wheels get going too. Take your class into the library for a Top 20 analysis session. Prior to the visit, develop a selection criteria with the group. You might set a page range, publishing year (of course), characteristics the students agree upon, and time limit prior to going, and once in the library, you'd want to have forms available for the students complete in order to keep them accountable. You might pair your students to allow for deeper discussion and comparison. You could have each pair of students come up with two books they'd put on the list which would ideally end up being around 20 books total. You could gather up the books and allow the students to "visit them" throughout the following week and then rank them in the order they feel is best. After you've developed overall winner lists as a group, you might move on to genre lists. Kids have reading preferences, so tapping into those can lead to better book selection later on. In fact, I'd divide into groups based on the books that the kids prefer. Again, you'd want to establish the selection criteria and how the researching will be done. (Do you allow kids to search the internet? In the library? or do it by polls?) Once the time limit is up, then it's time to narrow by analyzing those in the first "selection round". You might even compare this experience to the NBA draft. :-) Secretly though, you're developing a reader's eye for book selection and providing kids with a mental list of what they want to read next. After experiencing these first two options, you can then focus on reader plans. Real readers need ongoing lists of what to read next. 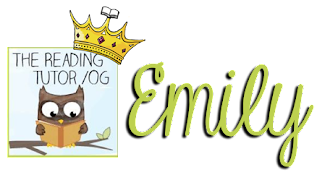 If you remember, we've had a few posts about Donalyn Miller's 50 Book Challenge, and I think Top 20 Lists feed right into it. 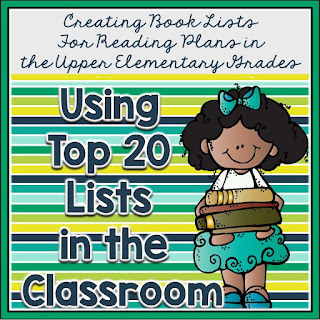 Your kids can keep and revise their Top 20 list all year long. Imagine how fun it'd be to compare the list at the beginning of the year and at the end of the year. My guess is that it will change as the year goes, don't you think? comparing across texts specific features you've agreed upon. analyzing the text features of the books including plot and character development, vocabulary usage, and creativity. 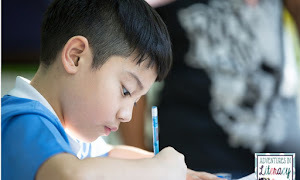 observing through the writer's eye which may lead to improved writing skill. What skills would you add to this list? How would you change up the idea or use Top 20 lists? (please share in the comments). To get you started, I created a quick freebie to share with you using some of the ideas shared above. I hope it works well for you and that you see lots of excitement from your students after you give it a try, and better yet, I hope it gets them headed to the library with new book list ideas. Hi everyone! 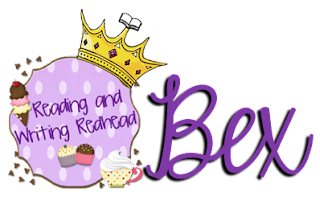 It's Bex here from Reading and Writing Redhead! I am here to share some information about how you can support your struggling readers and help them improve their fluency with Reader's Theater. I mentioned Reader's Theater in a blog post last year called No More Robot Reading. Check it out here. Are you wondering -what is Reader's Theater? In Reader's Theater, students do not memorize lines. They use scripts and practice using vocal expression to get the audience (or imagined audience) understanding the story rather then by using visuals like props and costumes. There are so many Reader's Theater resources out there, and many are free! I will share some with you at the end of this post. Reader's Theater is a great vehicle to get students to improve their intonation, pausing, and inflection and to read with expression. I love using this with my RTI Tier 1 reading groups and there is such a wide variety of reading levels available in reader's theater scripts that I can use it with all readers-from struggling readers to those who need a challenge. I found some great advice over at Reading Rockets for using it. Some of Susan Finney's advice includes: Starting out with fun scripts (limit boring dialogue), you can model each character's part and match the character to which student would be best to read it (OR my thought is, after your students are comfortable with the concept of Reader's Theater, challenge your students by assigning them a part that they may not have gravitated to), and provide teacher support for vocabulary and understanding characters. You can do so much with reader's theater - as the title of this post states, it is terrific for practicing fluency, but you can do a TON with vocabulary and comprehension too! Here are some resources for Reader's Theater. 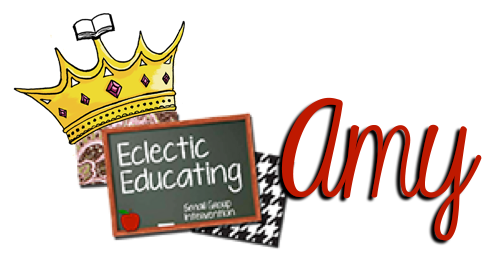 Aaron Shepard has some amazing resources on his blog! A child with dyslexia will never eye-read as well as his peers, and that, I hope to reassure you, is fine. Yet all children need to be exposed to vocabulary and ideas to be successful in school. If your child was blind, providing text as audiobooks or Braille would allow her to read with her ears or with her fingers. No one would ever claim that a blind person was lazy or stupid for not reading text with her eyes. When I listen to audio, that’s ear reading. When I speed it up to four hundred words a minute, four times the pace of standard speech... I am leveling the playing field for me. * It’s not what the mainstream conceives of as reading. But it’s ear reading. It’s learning. It’s literacy. Ear reading is simply having access to audio while reading a text. When a slower reader in your class is reading, having the additional audio and any other speech to text technology is a great way to accommodate them. For some people, it may be the only way they will be able to access (read and comprehend) text successfully. That's a pretty powerful statement. You can make this happen for them in your classrooms. How do I find audio books? Since 1 in 5 students in your class are dyslexic, it is imperative to have audio text. If you have grant money or planning your school year budget, investing in audio books, a good listening center, e readers, and headphones are worth every penny. First, look into two sites: Learning Ally and Bookshare. Call to see if your state has funding money to provide one of these audio book sites in your classroom. Many have, but sometimes schools don't know about it. Many reading anthology series and text books come with audio CDs and access to read them online. As long as your district has purchased them you should be able to have them in your classroom. No listening center? Buy a pair of headphones and set a child up at a computer to read. If you have mobile tablets in your classroom, even better. I want to caution you that the voice on some e readers sounds robotic. Your child may not like having to hear a robot voice read to them. (Would you?) Always check if it's an adult with a pleasurable reading voice. Next, check some of the free sites online. Here is a pin from one of my Pinterest boards to access over 600 free audio books. Use your local library for books CD. 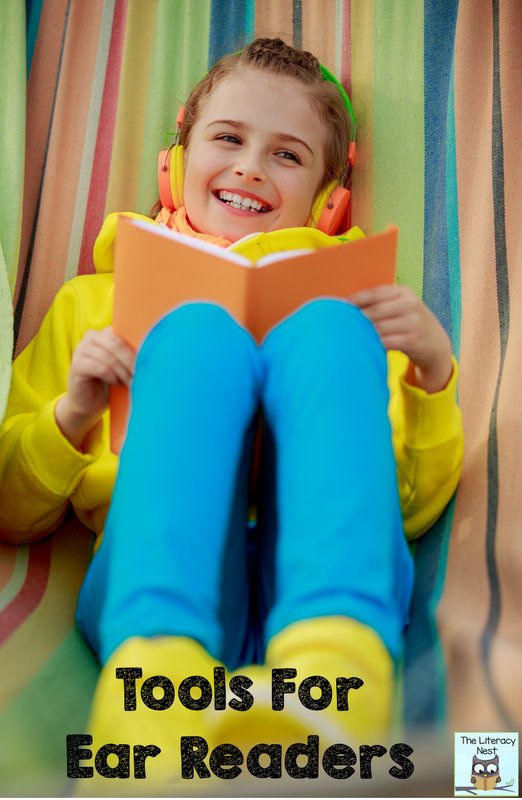 Have you tried using audio books with your students? How has it helped them? Please share in the comments. Thank you for stopping by Literacy Land today! For the opening speaker at my district's big back-to-school kickoff, I was lucky enough to hear Dr. Richard Allington speak. If that wasn't enough, I was able to meet with him in a small group for discussion after the presentation! It was a very exciting and rewarding experience for me. I am a big fan of his work and really enjoyed speaking with him. This might seem obvious. We are constantly running guided reading groups with leveled text, but he also means matching students to appropriate science, social studies, and math texts. This means doing away with the one textbook for the entire class. The struggling readers need to be able to access the information from another source. Students will also be more motivated to read if they are able to select among different texts. The smaller the group, the better! This can be difficult with school budgets, but the smaller the group, the more intensive the intervention. All lessons should gradually release independence towards the students. Lessons should begin with modeling by the teacher, move towards guided practice, and finish with independent practice. Many times we rush through the guided practice, or do not give students enough practice working with the skill independently. This can be especially difficult in large schools. The best interventions align with the core curriculum in the classroom. Students will get very confused if they are learning several different ways to write summaries. Teachers need to collaborate and teach consistently across the board. It seems like common sense, but the more you read, the better you get! Dr. Allington compares reading to any other sport. You have to practice to get better. Unfortunately, he says many interventions or RTI centers focus too heavily on worksheets and paperwork. Dr. Allington says 2/3 of every day should be spent reading. This means that 2/3 of the intervention block should be spent reading, NOT doing worksheets. Dr. Allington truly believes in the power of the teacher. He believes schools should be investing in quality professional development for their teachers instead of purchasing packaged programs. He also believes that the most expert teachers should be working with the struggling readers. During his presentation he discussed how he is against the use of paraprofessionals to instruct the most struggling readers. Students should be taught to think about their own thinking when they are reading. They should be aware of the strategies they are using and what to do when they are struggling. 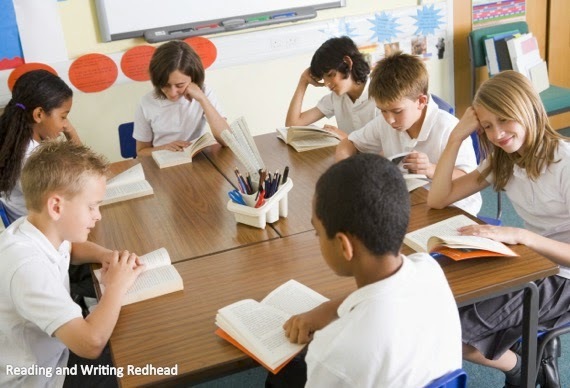 Students should constantly be reflecting on their reading and pausing to make meaning. Dr. Allington believes the core of comprehension instruction is the teaching of strategies. Dr. Allington believes the key to RTI is the strengthening of Tier 1 classroom instruction. How is RTI run in your school? What strengths do you see in your program? What weaknesses?